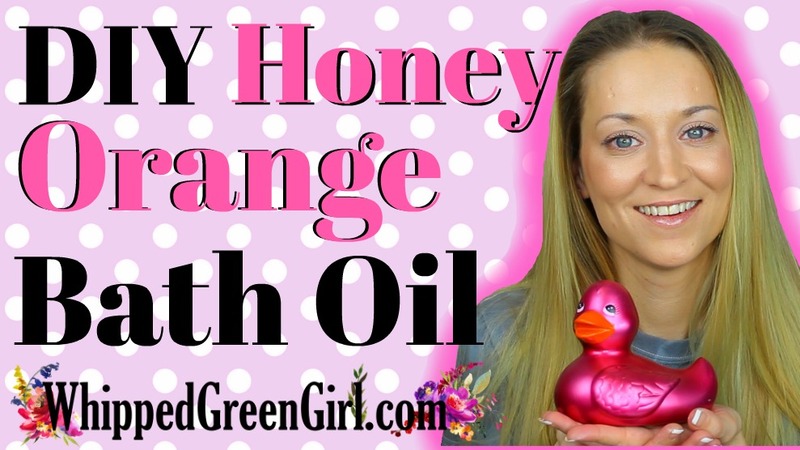 Fans of soaking in a tub, rejoice – I’m going to make it a bit better, using this “DIY Honey Orange Bath Oil”! Yes, I love a good bath. But, ugh- it’s always so drying on skin. Not anymore, a simple bath oil can make the world of difference! See the blend and details in my latest VLOG below! Please drop me a “LIKE”, “COMMENT’, or even better “SUBSCRIBE” to my channel! Your skin will thank you! If you missed recipe details in the video, or prefer the BLOG version. Keep on reading! You could literally chuck olive oil in your bath. That alone, is a huge help… But this is “fancy DIY skin time”! This blend is much fancier and you’ll come-out smelling like sunshine! PLS NOTE: Sometimes bath oils leave a bit of grime behind. So, as the tub is draining, I clean/wipe the tub down quickly. I’d avoid this soak before bed. The essential oils may wake your senses a bit, too much. 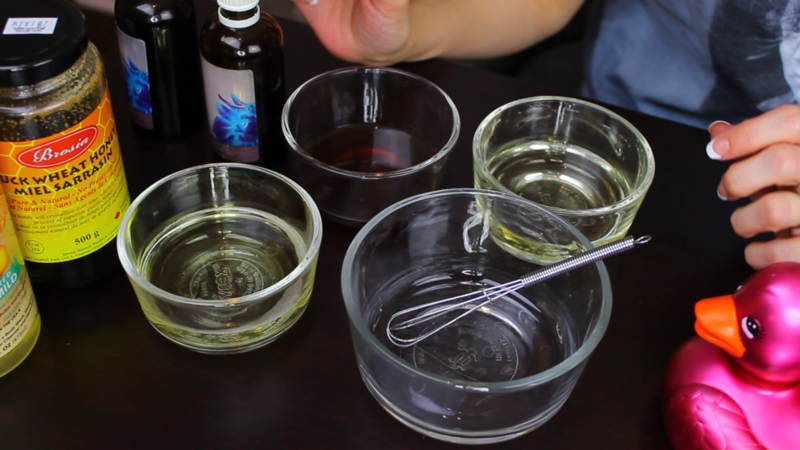 This “DIY Honey Orange Bath Oil” is best suited for a nice soak, after a long day at work. Or before going-out to a dinner! Helps jolt/wake your brain! Hope you liked this latest simple, skin care soaking share! I remember the days when I couldn’t take baths because my skin was too dry and sensitive. Wow – have I come far! Don’t be shy to chuck in some bath salts either! They’ll help seal-in the moisture from this bath oil too! Thank you for reading or watching – supporting my videos and giving me views! Got some product reviews coming out this week, supporting fair, clean Canadian companies! Check me out on Instagram now too – I need followers yo!